While some may think that western republics are becoming increasingly complex, dysfunctional and slow, that government shutdowns and endless going back and forth between parties and interest groups are signs of our times, the history of republican government tells a different story. Complex enough? How difficult do you think it was to decide anything and make it happen? 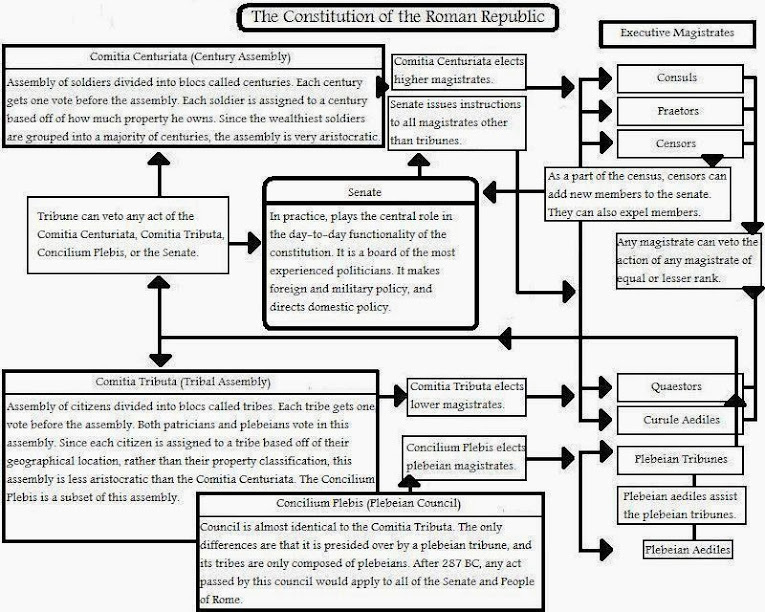 While the Roman Republic was very different from modern western republics, it was based on similar principles. 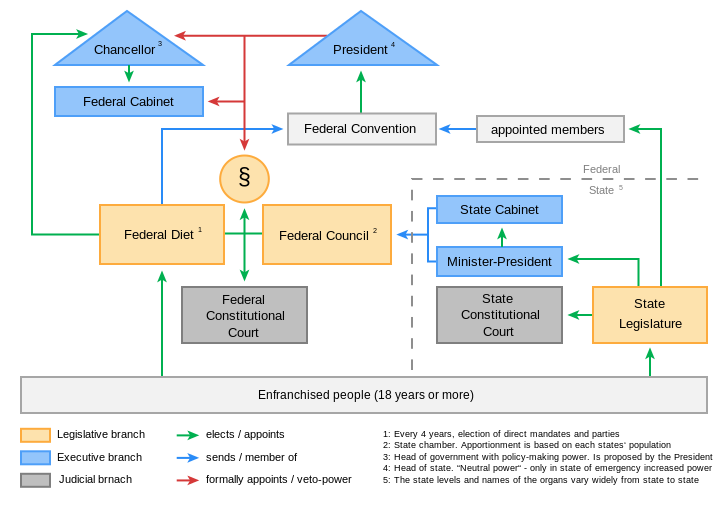 The separation of powers and a complex system of checks and balances made it as difficult as possible for one individual or one group to have too much power. The purpose was to guarantee that the government would work for as many people as possible, and not just for a few. 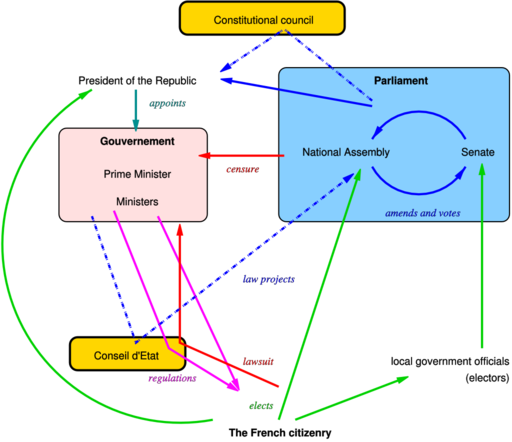 As the Roman example shows, such complex systems of checks and balances have been the hallmark of republics since their beginning. These systems result in a decision-making process that can be slow and difficult, but they also guarantee that as many voices as possible are heard at the highest levels of government and that power is not abused. It may sometimes be frustrating, but complexity is the price of a republic.